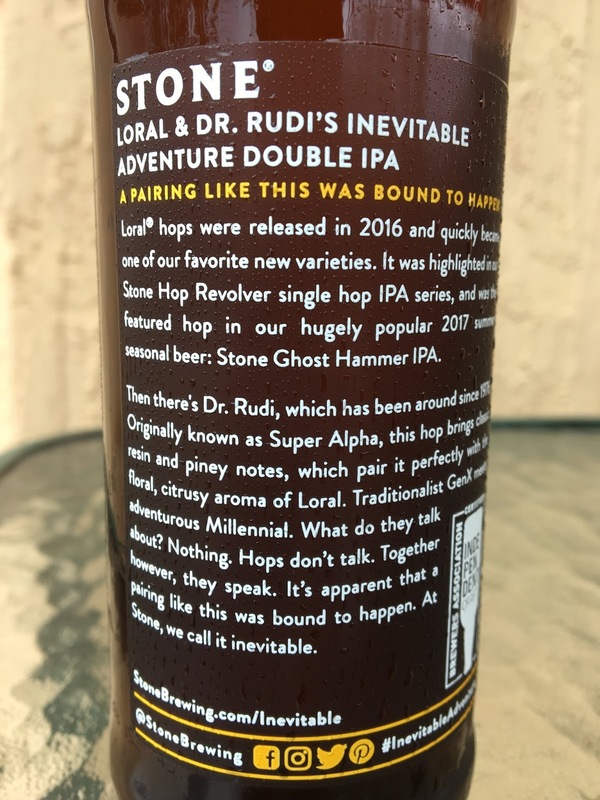 Loral and Dr. Rudi hops got married in Stone Brewing's Inevitable Adventure Double IPA. "Hops don't talk. Together however, they speak." 8.9% alcohol. 84 IBU. 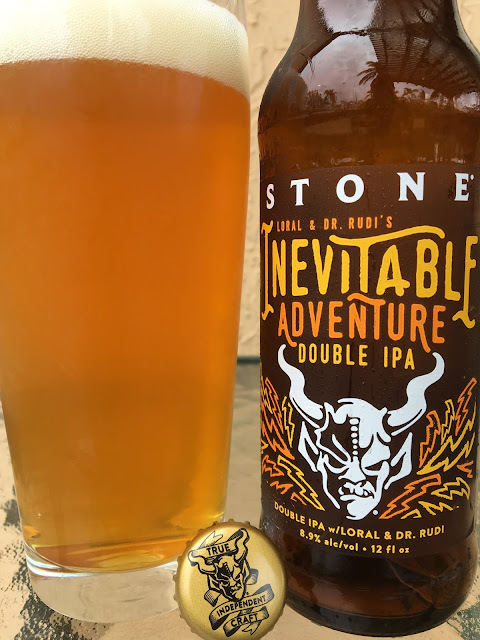 Spicy, piney, fruity peach and citrus aroma, very pleasant. Fruity, juicy flavors meet a very big spicy, piney and citrus flavor combination. Super resinous. Big body, great bitterness. You can really pick out the characteristics of each hop, and they nicely play on each other.